Your content calendar is full, your posts are generating engagement, your audience is growing…what’s next? Ready, set, benchmark. Social media offers a wealth of audience data and post-performance data to constantly improve your social media strategy. These numbers offer crucial insights into your position in the marketplace and your target audience’s demographics, wants and needs, all while optimizing each post to resonate and prompt more engagement with audience members. 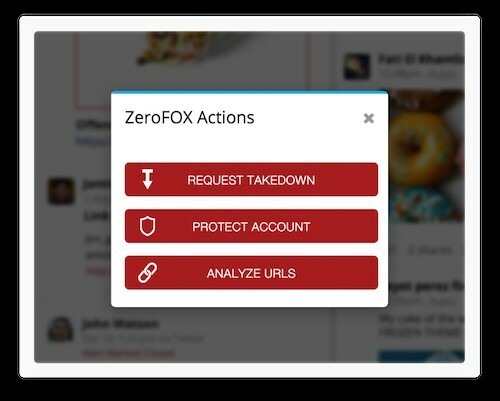 There are endless social media reporting, listening, monitoring, and analytics tools. We’ve broken down some of our very favorites for healthcare marketers below. Sprout Social offers plans that allow users to create content, publish, monitor, engage, report and analyze all in one. The service also has strong partnerships with social media platforms, leading the charge on new features and integrations to their suite of capabilities. Sprout provides a full suite of reporting options for Facebook, Twitter, Instagram, LinkedIn, Pinterest, Google+ and more. Reports can be edited and saved to include the metrics that best communicate your healthcare brand’s goals and KPIs, from link clicks to engagement rate. Customer service is key for all brands on social media, and this is especially true for healthcare brands. Patients may have feedback or questions about their care, and prospective patients may have questions they turn to social for. Sprout has a customizable “Smart Inbox” that streamlines engagement coming from multiple platforms into one feed. 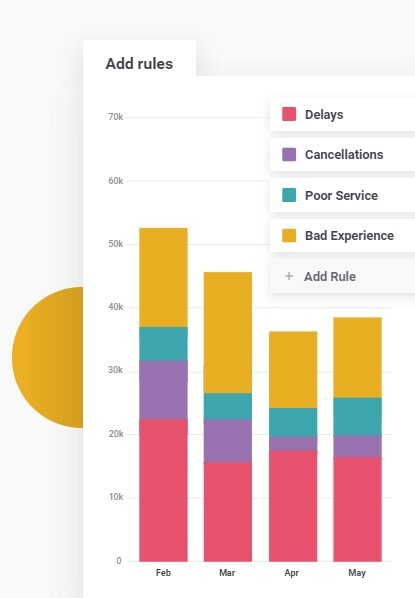 This service connects to an Engagement Report, which analyzes your brand’s response rate, total inbound and sent messages, engagement percentile compared to peer profiles, and average daily response time, among other metrics. Steward Health used Sprout Social to cultivate patient relationships and ensure that hospitals had their own voice while aligning with company-wide branding and industry standards. Read more about how Sprout contributed to their growth in this case study. Whether it’s to your hospital’s blog or service line landing page, web traffic is often an important marker for social media success in the healthcare industry. Though several services and tools report on link clicks, we find it helpful to peek into Google Analytics to gather the most detailed and comprehensive view of website data. Set up UTM codes to ingrain your links with even more information and decipher where traffic is coming from, down to a single social media post. Google Analytics has the data to show you who is visiting your site, what websites they’re coming from and going to, how long they are spending on particular pages, session time, bounce-rate…and the list goes on. Take advantage of this tool to better understand your website visitors and target audience, make adjustments to your social content, and even improve your website. A powerhouse for digital listening, Brandwatch offers customizable analytics dashboards to monitor everything from keyword trends to audience behavior. Like checking the health of a patient, this platform offers powerful insights for healthcare brands to know and understand their prospective patients. The platform offers 50+ filters for listening to find the exact data you are look for, from location, to language and post sentiment. Sentiment score is a data point that categorizes social media posts as positive, negative or neutral. There are faults in the system with emojis, context and sarcasm, though this marker is fairly accurate in determining the relative attitude of social audience members toward a brand. Brandwatch takes this sentiment score a step further with the ability to categorize personalized sentiments. 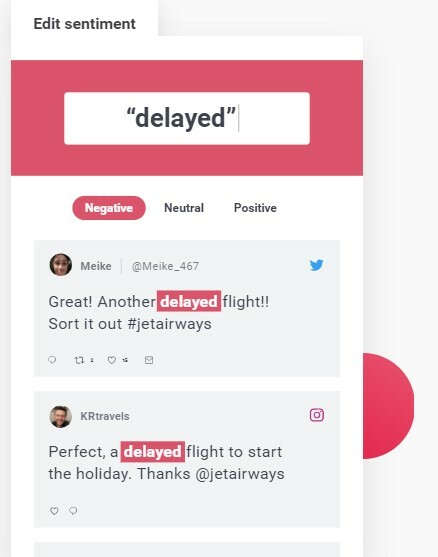 This is shown in the example below, where sentiments are customized by an airline to more easily analyze what the post content is related to and what emotion from the user it conveys. This level of customization presents an opportunity to analyze patient sentiment and customer service on social media in much more detail. 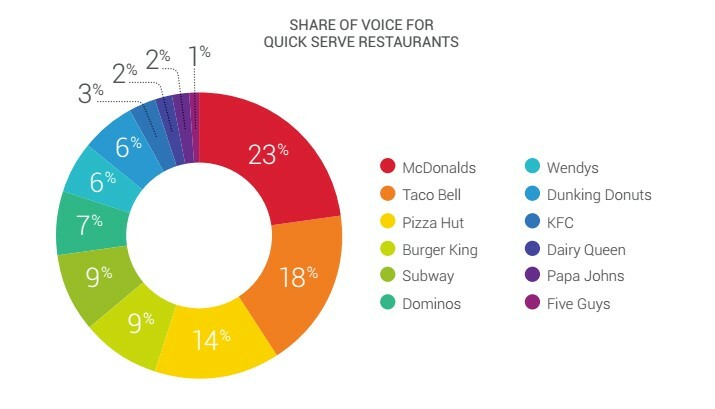 We also recommend looking at “share of voice” on Brandwatch if brand awareness is a central to your strategy. This metric is a key indicator for the competitive landscape your healthcare brand is in, stacking up mentions, post volume, and illustrating performance comparisons against competitors. Meltwater provides solutions to easily integrate public relations and marketing with social and news monitoring to get a full view of your brand and activity surrounding it in the entire digital space with its Global Media Monitoring solution. From a marketing communication perspective, this tool can go a long way in analyzing owned, earned and paid activity. Meltwater also allows users to funnel activity down to what is relevant, so it eliminates noise about topics not relevant to your brand’s marketing efforts. This allows for time-saving for your team, ensuring the activity they review is credible and reliable! 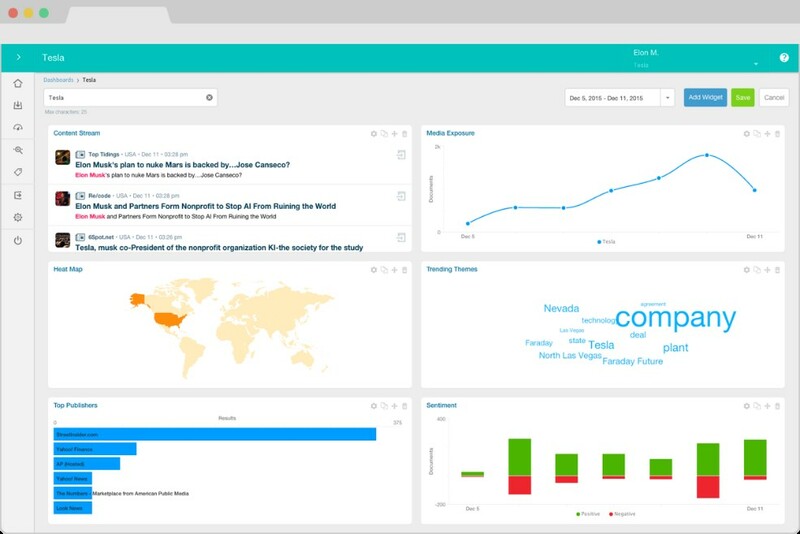 Meltwater offers dashboards that allow for insight across these areas with ease, drawing in content, heat maps, media exposure, trending themes in a word map, top publishers and sentiment. The platform also offers share of voice capabilities. This tool frees up time to allow for more streamlined, holistic analytics of social and public relations for your healthcare brand. Hootsuite provides an easy-to-use bank of solutions to schedule, create, monitor and analyze content in one. 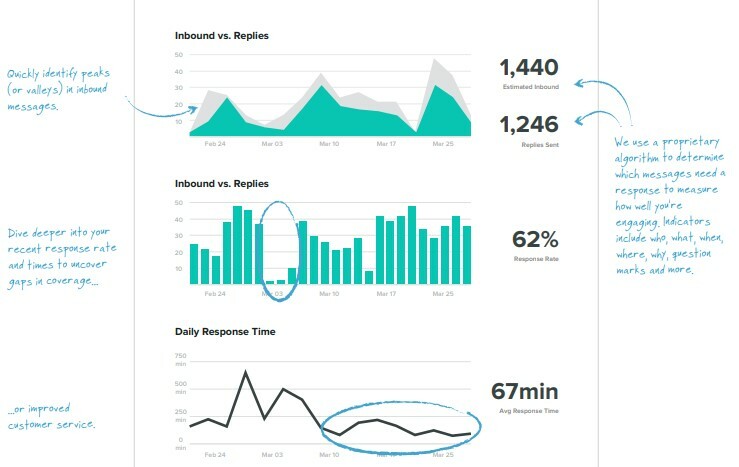 Similar to Sprout Social, Hootsuite provides customizable reports and reporting on team performance with social engagement, from response times to response rates. This platform is a great starting point for analyzing the basics for your healthcare brand as well. An ideal choice for healthcare marketers, Hootsuite comprises HIPAA-compliant integrations that can be enacted when monitoring content. 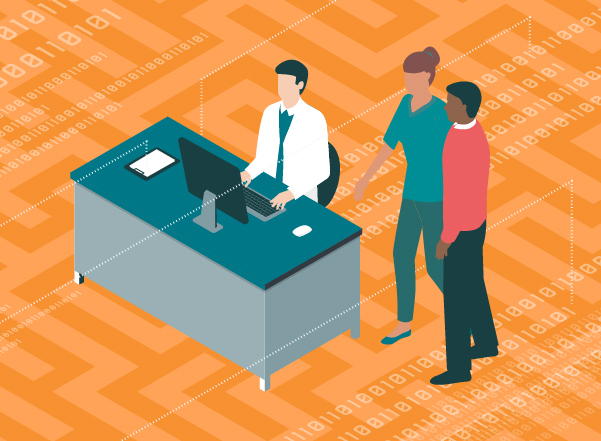 Their partnerships with regulatory tools like ZeroFOX and Proofpoint help your healthcare brand adhere to HIPAA guidelines, locking down suspect posts or profile changes that require patient approval. This feature can eliminate great risk for your brand and provide peace of mind. Take a look at Hootsuite’s security functions and a case study of how Spectrum Health System excelled with this tool. From granular data to big-picture insights, there is a social media analytics solution for every healthcare brand out there. As you refine your KPIs and ultimate markers for social success, you’ll find what really works for your marketing team. We hope this helps provide you with a bit more clarity in your search, and helps you meet your perfect match to strong social media results. Learn more about Orange Label’s healthcare social media marketing capabilities.